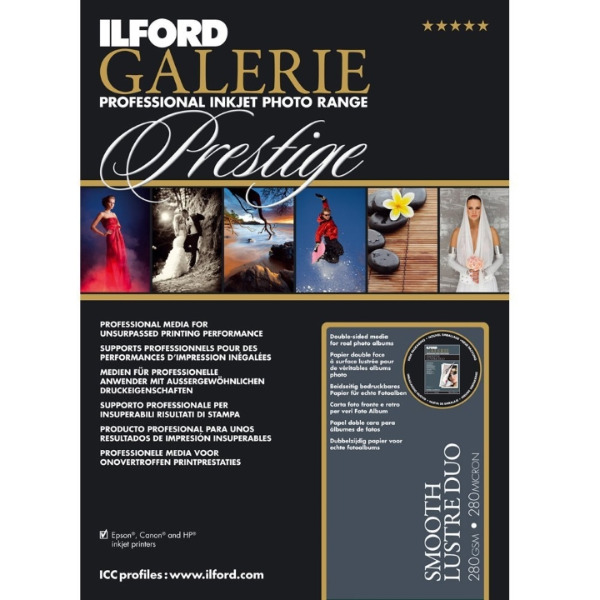 Ilford Galerie Smooth Lustre Duo Paper is a symmetrically coated heavy weight premium RC photographic quality inkjet paper designed for high end photo printing using both dye and pigment inks. The media is double-sided and can be used for printing photo albums, portfolios or high end invitation cards. Ilford Galerie Smooth Lustre Duo Paper is designed for use with desktop inkjet printer systems using either aqueous dye or pigment inks from major manufacturers.